Mentors can impart valuable wisdom to you and open doors for you that you would not have been able to access without them. They will invest heavily in your career’s development and help you reach greater heights. Excel at your workplace, and a mentor will find you. Do not spend energy looking for a mentor—you will just end up wasting energy. 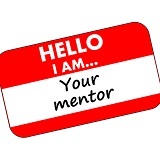 Redirect that energy toward performing well at your work, and a mentor will find you.